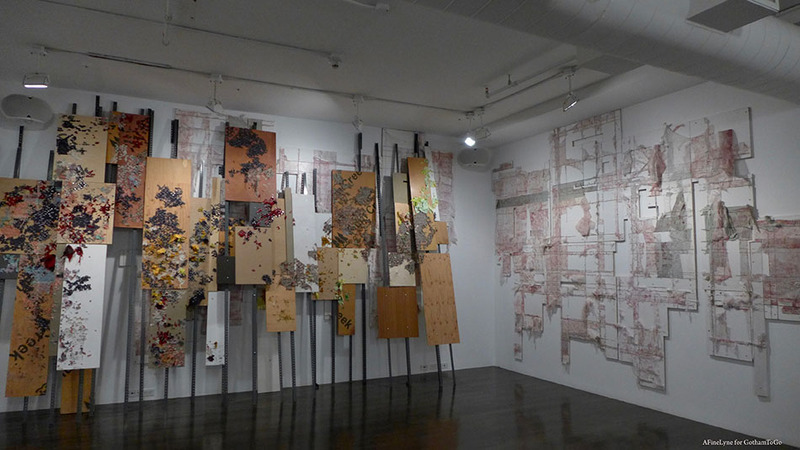 Participating artists include El Anatsui, Maren Hassinger, Elana Herzog, Samuel Levi, Mary Mattingly, Michael Rakowitz, Jean Shin, Sinique Smith, Mierle Laderman Ukeles, Roberto Visani, Michael Kelly Williams, and Lina Puerta. 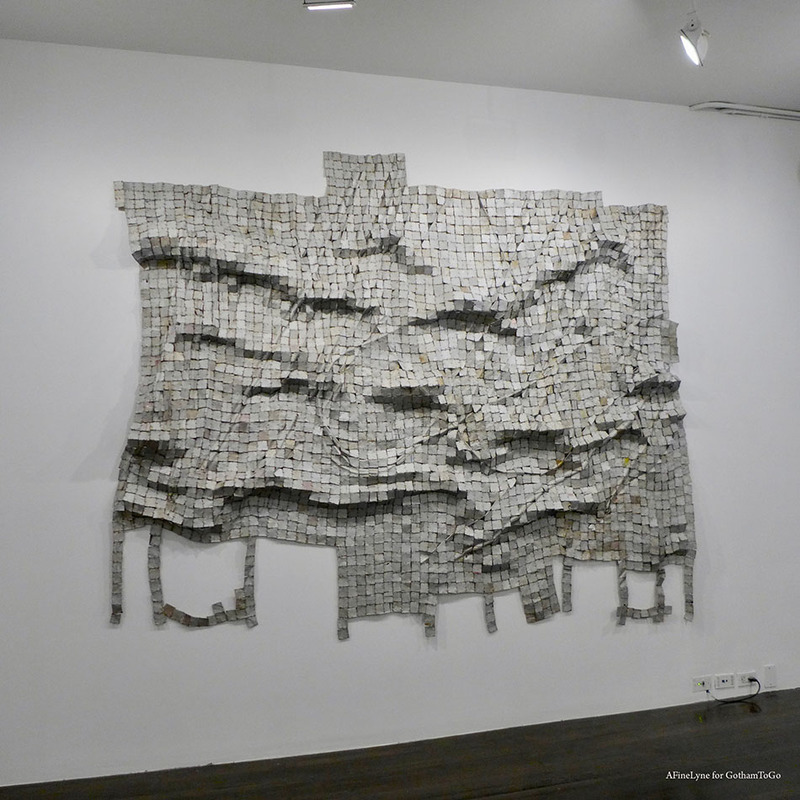 The renowned artist, El Anatsui created this piece by flattening bottle caps. 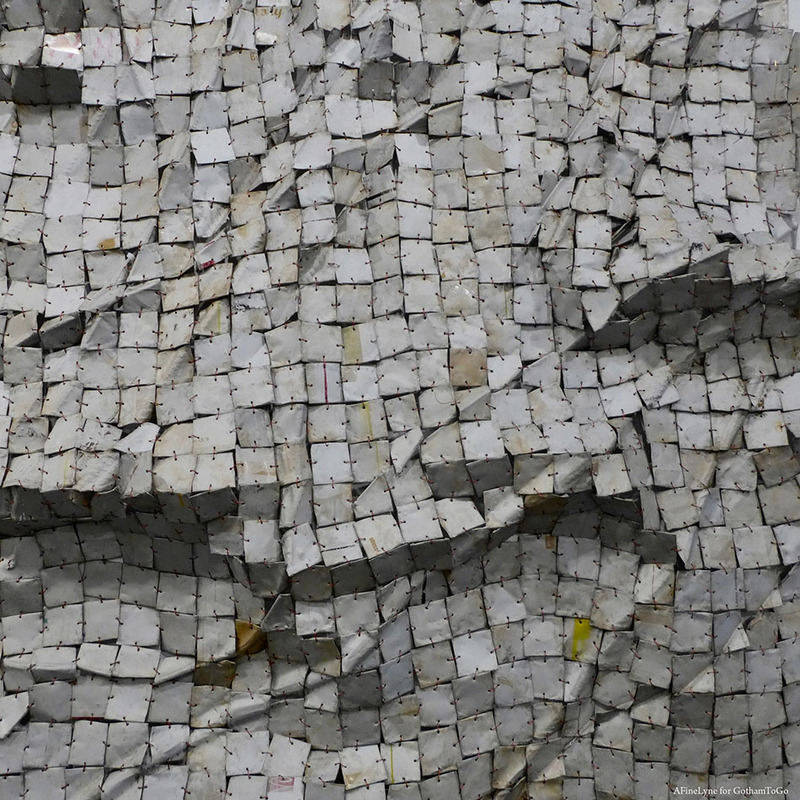 What we consider to be ‘reuse’, El Anatsui considers to be art materials ~ like the use of wood. 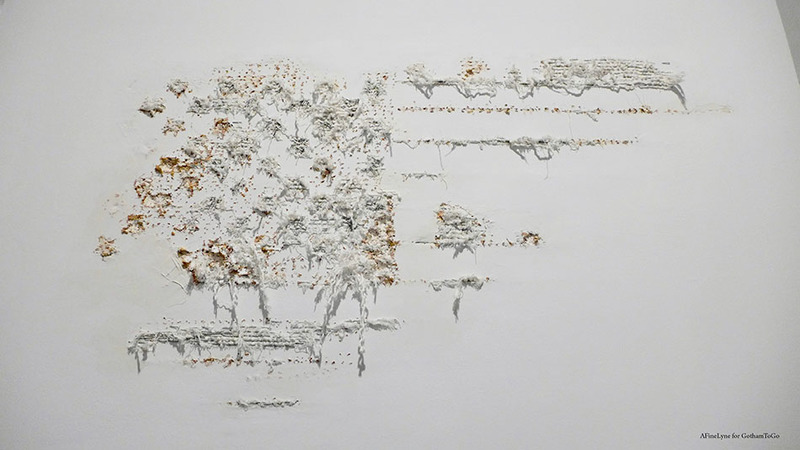 On the wall, artist Michael Kelly Williams, “Wodakota, 2017” ~ Wodakota is one of many works by Williams incorporating allusions to musical references with objects that carry spiritual energies. 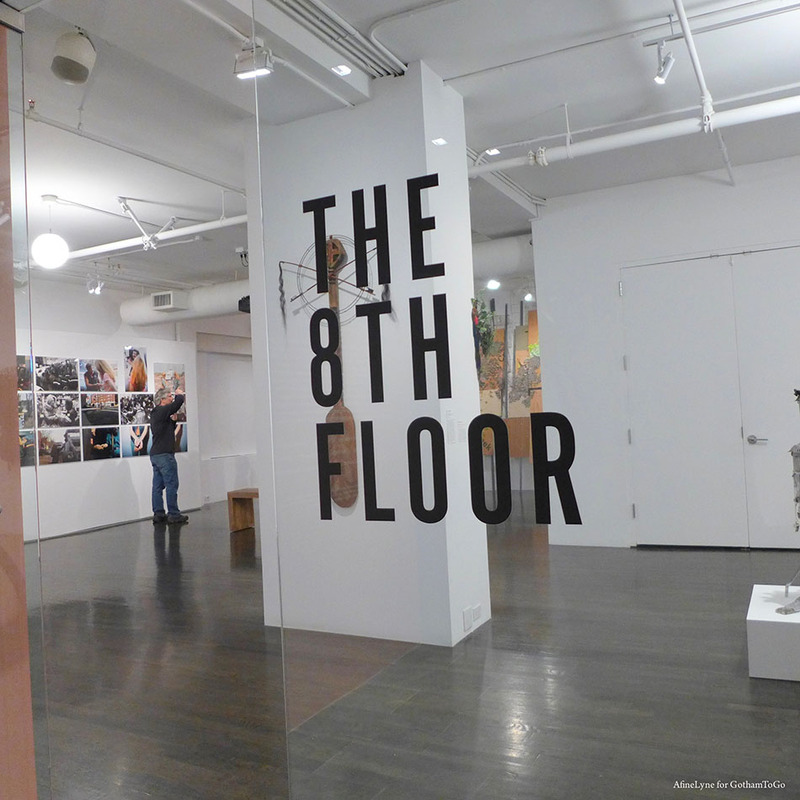 The 8th Floor is an independent exhibition space established in 2010 by Shelley and Donald Rubin for the purpose of promoting artistic and cultural initiatives. 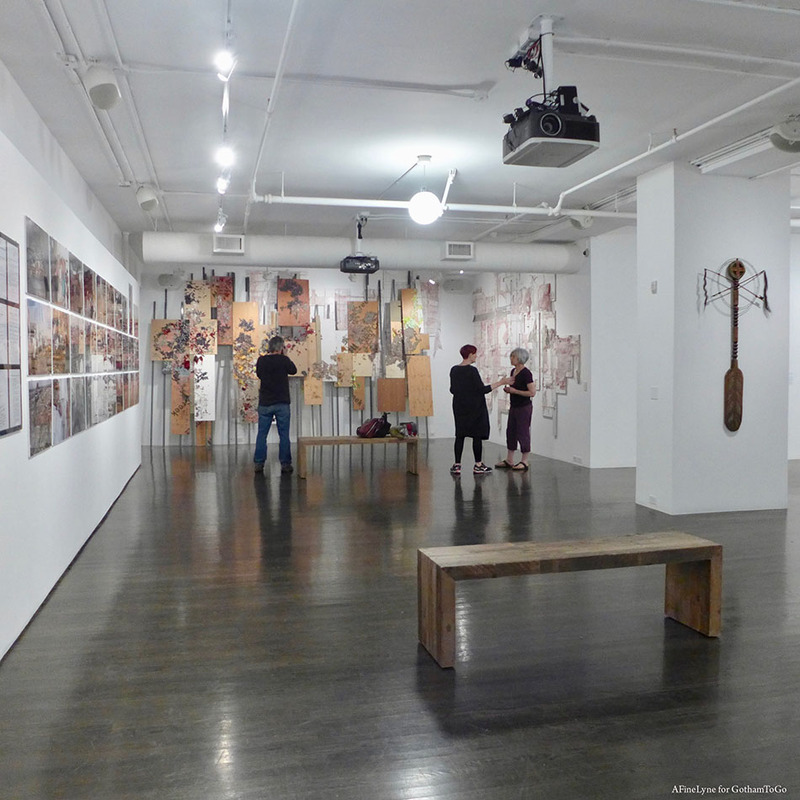 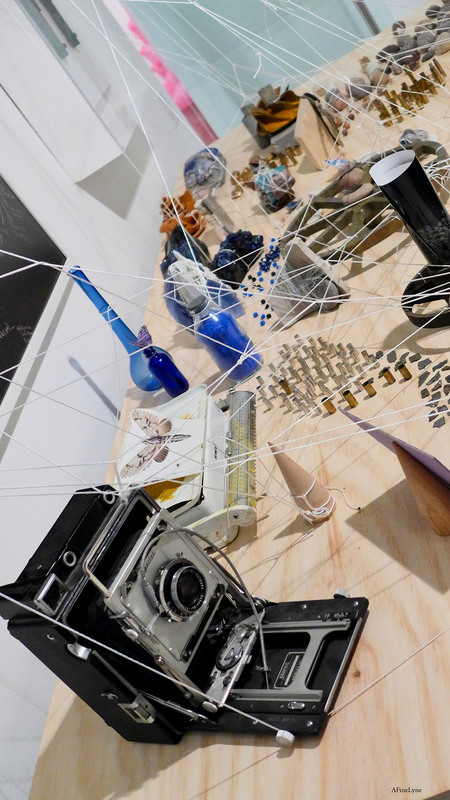 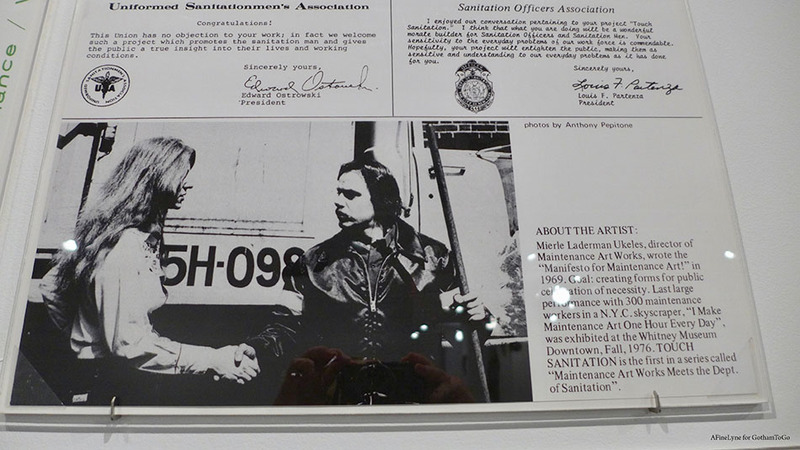 Sedimentations: Assemblage as Social Repair will be on view from June 21 to December 8, 2018, with an Opening Reception on Thursday, June 21 from 6-8pm. 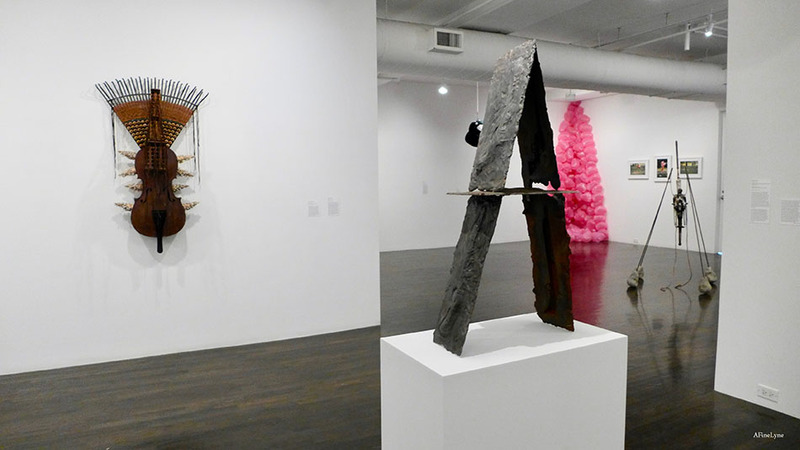 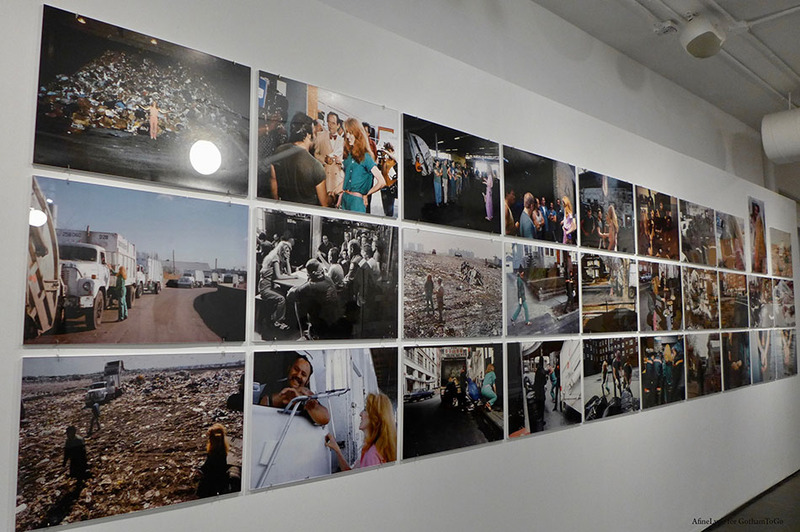 The 8th Floor is located at 17 West 17th Street, on the 8th floor and is free and open to the public Tuesday through Saturday, 11am to 6pm. 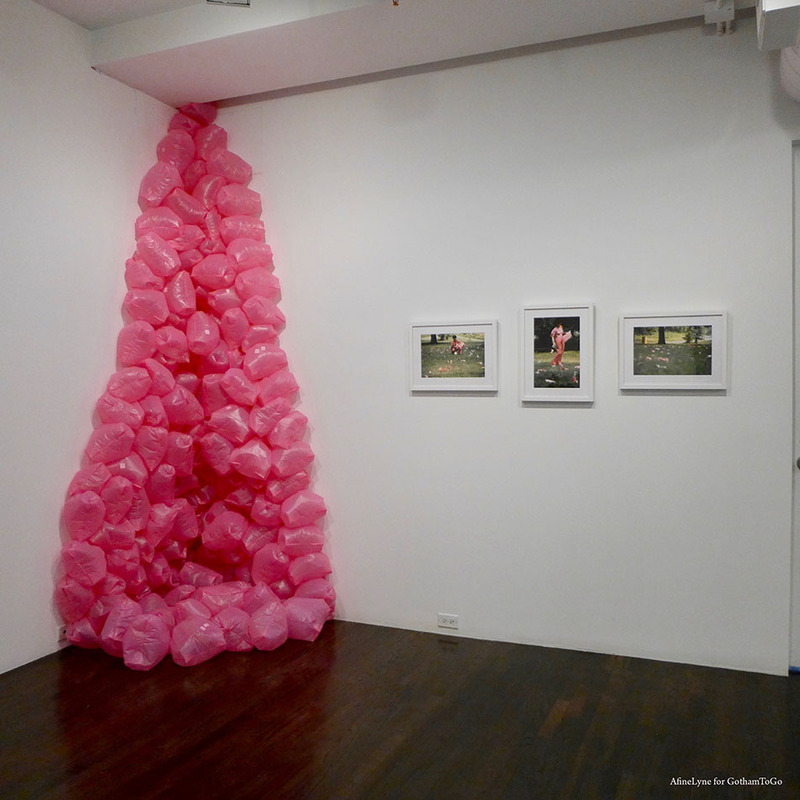 We are also following Maren Hassinger to the Marcus Garvey Park in Harlem, where she will unveil eight site-specific art installations on June 16, entitled, Maren Hassinger: Monuments,” for the inHarlem project of the Studio Museum in Harlem and the Public Art Initiative, part of Marcus Garvey Park Alliance.